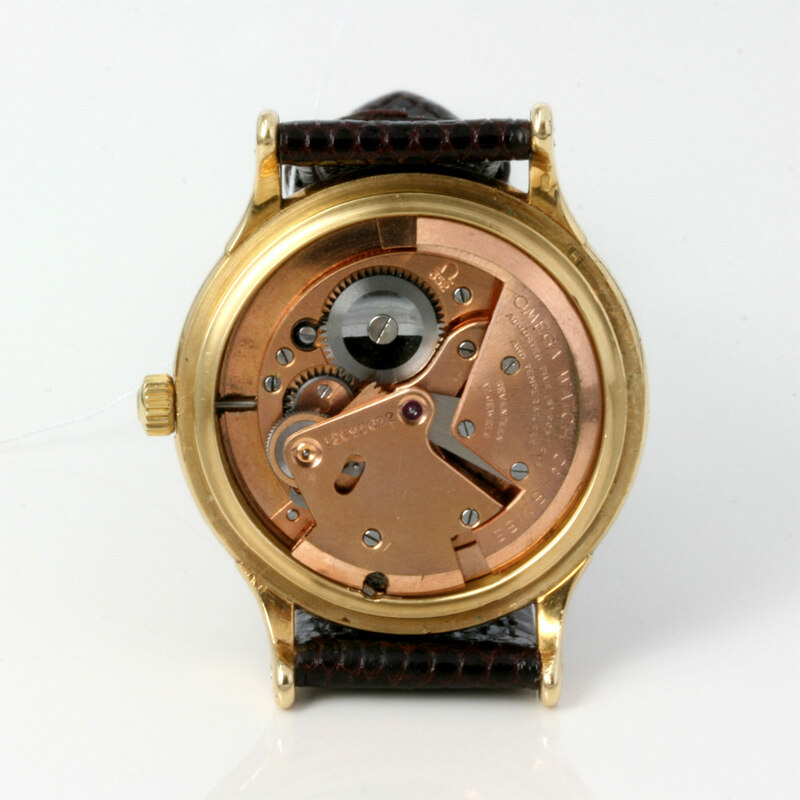 18ct gold Omega Chronometer watch. Product code: 1246 Categories: Sold Items, Sold Omega Watches. Vintage Omega watches have such a great look about them and this one frm 1950 really is no exception. Fitted in a 18ct solid gold case that measures 34mm across (plus the crown), the dial has been repainted to a very high standard and looks superb. The movement inside is a high grade chronometer grade Omega calibre 353 “bumper” automatic movement, adjusted to 5 positions which runs perfectly. The whole look of this watch has that wonderful classic look to it, and looks perfect on the wrist day or night.